Obituary for James 'JR' Edward Johns | Gaschs Funeral Home, P.A. On January 23, 2019, James Edward Johns, Jr. (“JR”) of Mt. Rainier, Maryland passed away at Heartland-ManorCare Rehabilitation Center in Adelphi, Maryland. He was born on February 4, 1949 in Prince George’s County, Maryland. He was the son of James Edward Johns, Sr. (deceased) and Irene Marie Johns (Givens) (deceased). The husband of Ruth Ann Johns (Trader). 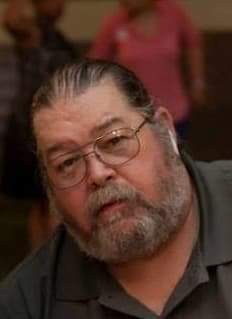 The father of Patrick Thomas Johns (deceased) and James “Jay” Edward Johns, III (Nova). The brother of Thomas Lee Johns, Sr. (deceased), Eileen Marie Sarles (deceased) and Sharon Moses. Grandfather to Thomas Cassidy-LeHew (Shelby), Patrick Thomas Johns and James Edward Johns, IV. Uncle and friend too many. Family will receive relatives and friends on Monday, January 28th from 2-4 and 6-8 at Gasch's Funeral Home located at 4739 Baltimore Ave Hyattsville, MD 20781. American Legion memorial services will be held on Monday, January 28th at 7pm at Gasch's. Funeral services will be held Tuesday, January 29th at 10am at Gasch's. Interment will be following the funeral services at Ft. Lincoln Cemetery. Immediately following the interment, family and friends are welcome to gather at Cheverly American Legion at 3801 Legion Drive, Cheverly, Maryland for fellowship. In lieu of flowers donations can be made to support the Wells Warriors Youth Hockey Association. “JR” thoroughly enjoyed watching his grand kids and their friends play hockey. Donations can be made via PayPal atPayPal.Me/wellswarriors or via check and mailed to Wells Warriors Youth Hockey Association 5211 Campus Drive, College Park, Maryland 20740.